Polishing concrete requires the use of heavy-duty machines with diamond impregnated disks. 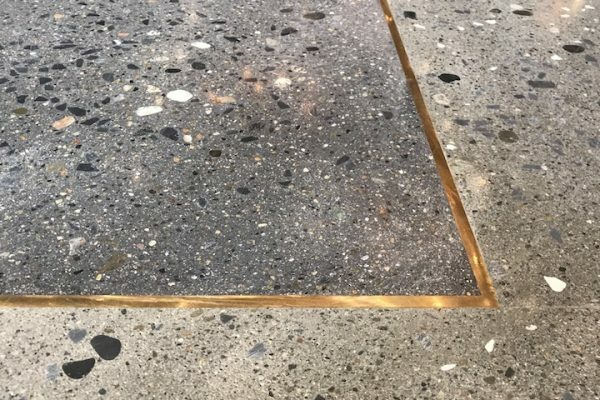 Depending on substrate condition and desired aesthetic, there can be up to 11 different grinding/polishing passes, with different applications of dyes and sealers in between each stage. The process begins with the removal of current floor coatings. 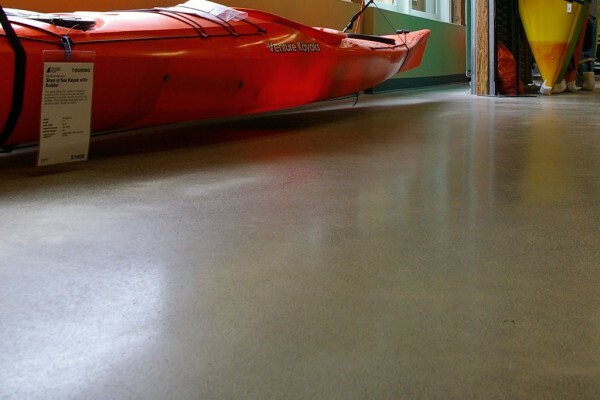 Using heavy grit diamonds, the floor is ground to remove epoxies, glues, sealers and paints. 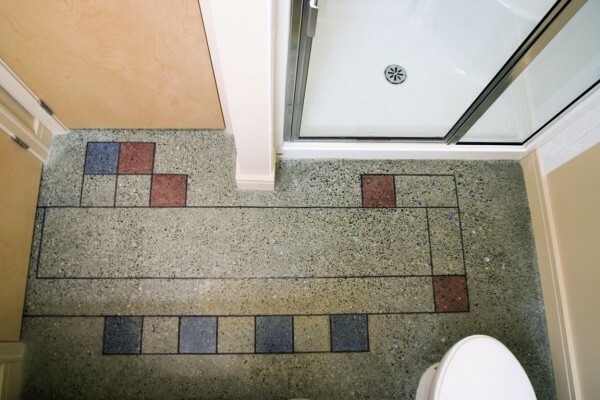 If necessary, tile or carpet can be removed to expose the concrete. Metal bond diamonds are used to grind the floor to a smooth surface. The first stage in the multi step process grinds the floor flat with metal bonded segments. If desired, this process can flatten the substrate to expose the stone. A second pass with a different metal bonded segment starts to smooth and refine the substrate. After a further stage of refinement an identifier is placed on the floor and left to cure overnight. A densifier is applied to the concrete after the metal bond cuts. This hardens the concrete, increasing its compression strength and abrasion resistance. Densifying is a necessary step to any finished concrete floor. It chemically reacts with the surface to tighten the pores, preventing dusting. 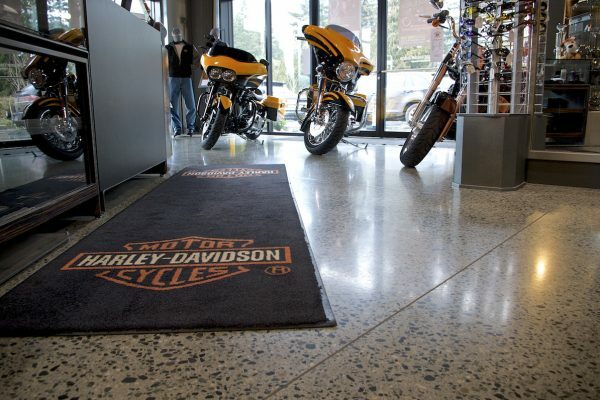 This process results in a crisp shine on the floor, a cleaner environment and a longer lasting surface. 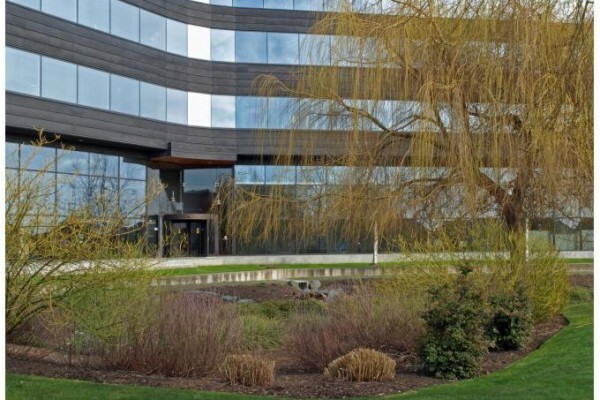 Resin Bond diamonds polish the floor surface the level specified by the customer preference. This can require anywhere from two to five passes depending on the desired finish. The number of polishing passes willl determine if the floor is matte, light sheen, or high gloss.